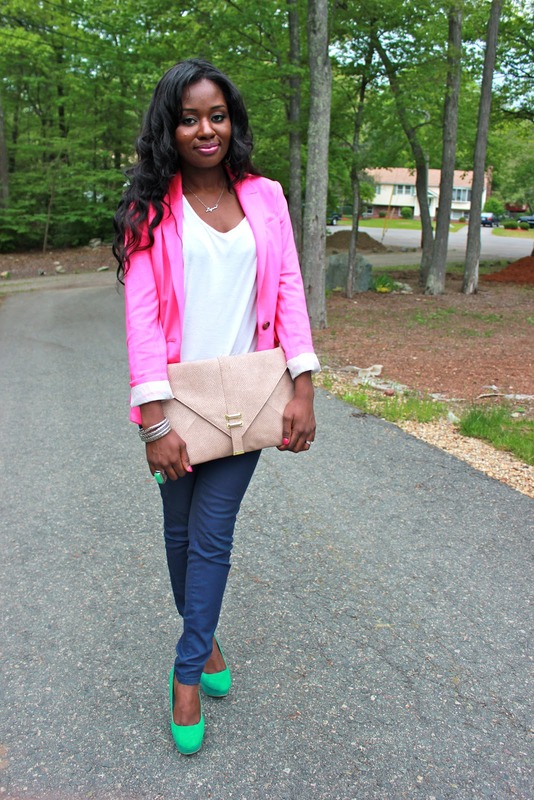 Pink Blazer Spring Outfit of the Day! Don’t you just L.O.V.E. Spring? I swear, now that the weather is getting better (minus the rain), I’m going nuts for color!! 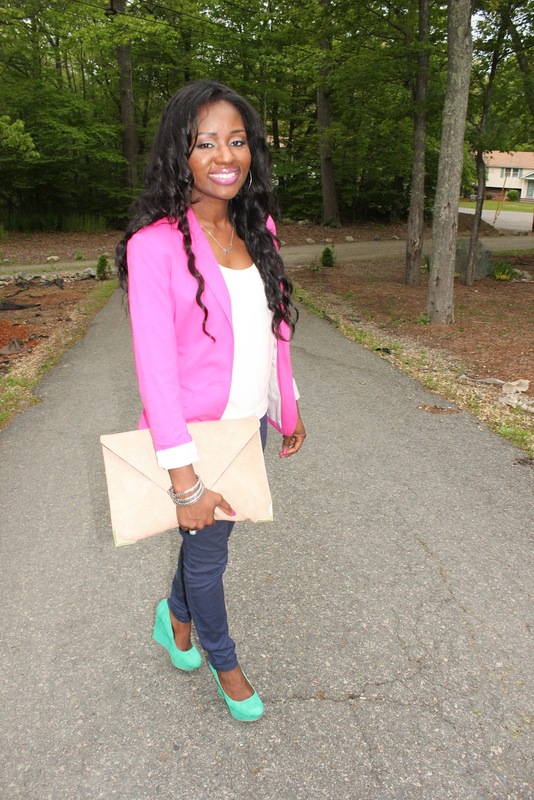 Love the blazer, love the shoes, love the clutch.. love! omg i love the outfit! soo cute and you look good! I’m loving this outfit so much! 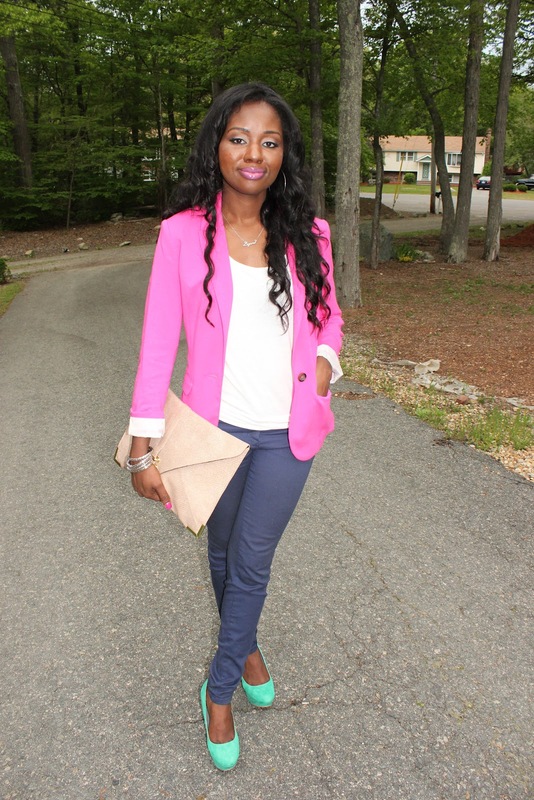 So sophisticated with a pop of diva glam! 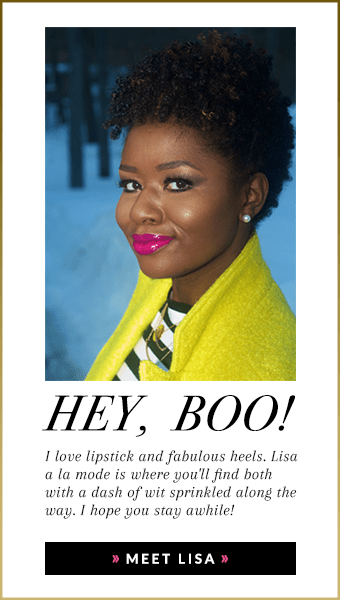 Found you through blog love therapy and now following! I love everything about this look! 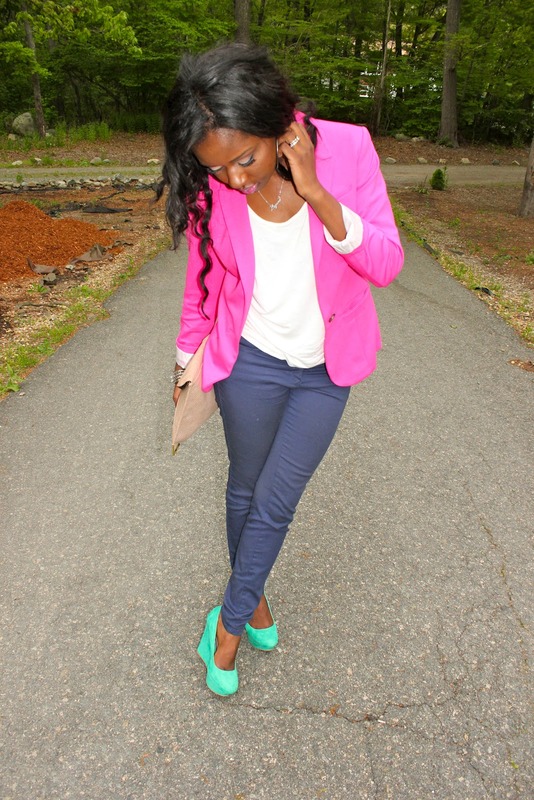 The blazer, the shoes, and the ring are all cute and BRIGHT! You have great style, Lisa. Love this look! 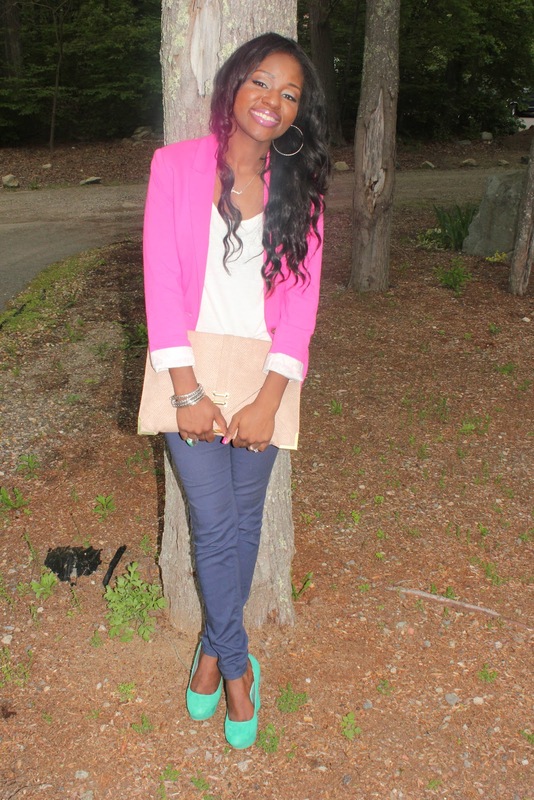 Those wedges are too Cute! Pink and green is one of my fav color combo’s!